Modern vehicles come with a plethora of sensors that are connected with a vehicle’s central computer or the PCM. One such sensor is the steering angle sensor which is responsible for keeping a check on the car’s stability and traction. This sensor is joined with a car’s stability technology which comes under various names. Every manufacturer has a unique name for their vehicle’s stability technology but a different name doesn’t change the fact that the technology used by all manufacturers is basically the same. What is a Steering Angle Sensor? Modern vehicles are riddled with sensors that signal the vehicles onboard computer to take the necessary action regarding certain conditions. The steering angle sensor is one such sensor which is vital for a car and its performance. When you turn the steering wheel, you expect the wheels to turn in that particular direction. The steering angle sensor, as its name suggests, senses the steering’s angle. There are two major types of steering angle sensors: analog and digital. Both use different methods to detect the steering’s angle. The digital sensor, which is also the most widely found sensor in cars, uses a LED light to detect the wheel angle, the rate of turn another important information. The sensor then transfers this information to the ECU, which acts by adjusting in the way your car drives and steers. The stability system will be activated, if your car has one. Naturally, if the steering angle sensor goes wrong, your road presence will become dangerous and you will see a yellowish light illuminating in your dash. Any sensor, may it be a steering angle sensor or any other, can wear out due to constant use. It is common knowledge that electronic components have a certain lifespan. Once the component reaches the end of its lifespan, it starts to lose its efficiency. However, every failing car part gives off signs that can alert you and prompt you to take quick action. Older cars had a sensor which was privy to the ECU. All ECU problems are signified by the Check Engine Light, so this light illuminating in your dashboard can signify any number of problems associated with the powertrain. You can only know of the problem once you use a code scanner and extract the proper error code for further diagnosis. However, in modern cars traction technology has been introduced. This is an entirely new technology and that’s why it gets a separate indicator in the form of a Traction Control Light. Therefore, if you see this light coming on in the dashboard, you might have a bad steering angle sensor. 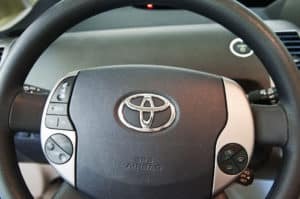 When there is any loss in traction or the steering wheel’s functions go bad even when there was no issue the last time you drove your car, there might be some problem with your steering angle sensor. 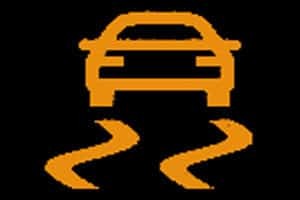 The sensor might have sent inaccurate information to the car’s onboard computer resulting in unnecessary automatic adjustments or the sensor might have stopped functioning entirely resulting in no information reaching the ECU (This will trigger the Traction Control Light). We talked about the steering angle sensor sending false or inaccurate information to the ECU. If your car is acting a bit weird or driving strange even after a wheel alignment, it might be due to a failing steering angle sensor. It is important and necessary to reset the steering angle sensor after an alignment, if your mechanic fails to do that, you can have this problem. Therefore, in such case revisit your mechanic and have the sensor reset and the wheels realigned. The steering angle sensor is usually located near the steering box, however, in some cars, it is even found right by the wheels. There can either be one of more than one sensor on your vehicle. So, it is first best to know which one of your sensors is causing the Check Engine Light in your dash to light up. There are a number of visible signs that accompany a failing steering angle sensor. Understanding and spotting them before time can help you save some money and most importantly your life. The first difference you will feel might be in your car’s performance. Perhaps, the car is too unstable around corners or just too out of control when you brake. The car’s Engine Check Light can also illuminate. Generally, any awkward feeling while driving your car can be an example of failure, which you need to get checked as soon as possible. After you have completed all the above steps and you are still getting the Traction Control Light in your dashboard, it is time to schedule an appointment with the mechanic. The mechanic will have the proper tools to test and check the sensor. The most important tool to check sensors is a code scanner. A car’s computer communicates via error codes. As soon as something goes wrong, an error code(s) pops up and the Check Engine Light or the Traction Control Light illuminates. You cannot see the error code without an OBDII scanner. A mechanic already has a scanner which he can use but you can also easily buy one for a reasonable price. You can also check the parameters to see what angle the steering sensor is sending. Try to turn your steering wheel to see if you get any corrupted signals from it. The most common code that accompanies a failing steering angle sensor is U0126. If you see this code on your scanner, it means you may have a problem with the sensor. Sensors can also be tested using voltmeters sometimes if you have the skill. To check the steering angle sensor, you need to have a high impedance voltmeter, which is not commonly found in everyone’s home but it is easily found in a mechanic’s workshop. Then you need to check the reading on the voltmeter at various engine speeds. Finally, compare the readings with the manufacturer specific range. 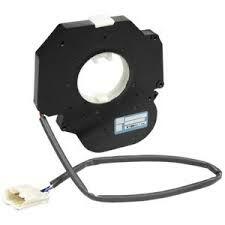 If there is any irregularity, get the sensor repaired or replaced. In some cases, it can be corrosion on the steering angle sensor connector or inside it. If you can reach the sensor easily, you can try to clean the connector and the sensor. Keep in mind that in most cases, it is the sensor itself that got internal damage, and cleaning won’t fix it. The steering angle sensor is either located near the car’s suspension or in the steering column. Search for the correct location on your car’s user manual and proceed to unscrew the sensor. Make sure not to damage any other surrounding components.
. The first one requires you to place the sensor inside the plastic bag and rub it with alcohol to wash away any contaminants. The second is fairly easy as you just might need to spray the cleaner liquid onto the sensor to clean the connector and the sensor. Now you can simply let the sensor dry for a few hours before you put it back in its original position. A steering sensor replacement will cost you $150-$320 on average with the part costing $120 – $250 and the labor costs averaging at $80 – $150. The first thing you might wonder after looking at the replacement cost is that it varies a lot. There is no fixed price for the part and neither a fixed labor cost. This is due to a number of reasons. Firstly, the price of the part can depend on the make of your car and its model year. Older car parts are very rare and difficult to find, so they cost a lot more than a component for a more recent car. Furthermore, the steering angle sensor for a foreign car will definitely cost a lot more compared to locally assembled vehicles whose parts are relatively cheaper. The second big concern is the qualification of your mechanic. Mechanics are certified by a regulating body that determines their car repairing skills based on their knowledge. Then there are other mechanics that have reached a certain stature just through experience. The third category is those mechanics that have loads of experience and professional certification. Usually, the latter is the best one among the three and that is the one you should go for. A certified professional mechanic will usually charge you on the higher side of the price bracket, but then you can be assured that your car will come back in working condition. Other cheaper mechanics can destroy even those things which were working fine in the first place. hii, does active steering inactive issue can be solved by replacing steering angle sensor for BMW cars?? I do really think your problem would be solved with a wheel alignment if all bushings etc are okay! If the wheel alignment is faulty on newer cars, you will get an error code on the steering angle sensor also. just change my outter tie rods . didn’t get a wheel alignment now my dash light is on like tcs. mechanic said that the steering angle sensor is the problem. I didn’t have this problem before I changed. the tie rods. do you think a alignment might fix the problem. Yes especially if you have an electric power steering, a faulty steering angle sensor can cause loss of power steering. The steering wheel jump may also be caused by a SAS. Hi i also have a problem with my bmw e65 my radio cuts off suddenly,my steering buttons,hooter are not working aswel even if yu want to change to manual drive its not responding.what could the problem?